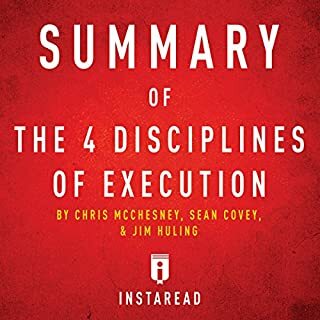 The 4 Disciplines of Execution provides a simple, proven formula for achieving the goals that every individual or organization needs to reach. 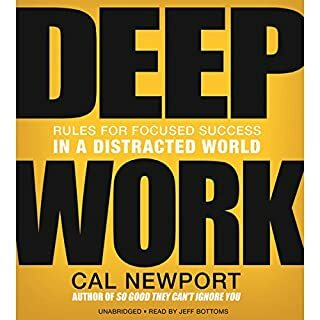 From Marriott to the U.S. Navy, Covey and his team have worked with more than 200,000 people in hundreds of organizations to improve performance, identifying and honing four secrets of perfect execution: Focus on the Wildly Important; Act on the Lead Measures; Keep a Compelling Scoreboard; and Create a Cadence of Accountability. 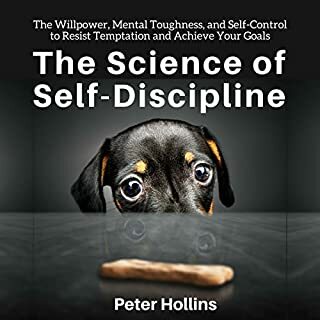 By allowing teams to separate those urgent tasks that demand attention merely to keep a company alive - called the "whirlwind" - from new, "wildly important" goals that promise to break new ground, these disciplines empower leaders to accomplish what is by far the most difficult aspect of creating results: executing a strategy that requires a change in behavior. Simply put, this is a work that no business, however small or large, can afford to pass up. ©2012 FranklinCovey Co. All rights reserved. (P)2012 Simon & Schuster, Inc. All rights reserved. Really good read. 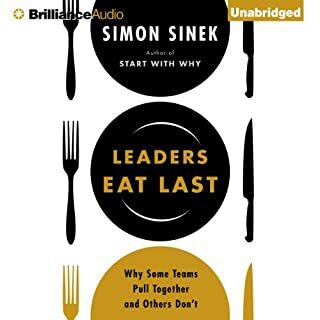 Solid direction on identifying the wildly important goals; implementing Lead and Lag metrics; creating a visual scoreboard; and how to sustain. Highly recommend. Even good for building in your own personal direction and life. 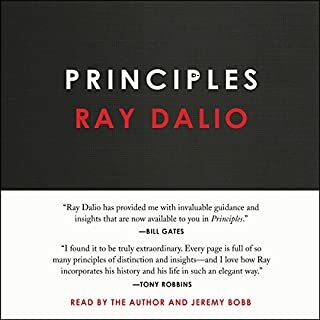 C'est un livre qui parle de l'agilité des entreprises (sans jamais citer ce mot me semble-t-il). La question au coeur du bouquin est "comment arriver à concilier l'urgent (qu'on ne peut pas négliger, au risque de mourir tout de suite) et l'important (qu'on ne devrait pas négliger, sau risque de mourir très vite) ?" C'est une question qui se pose à tous les dirigeants même si elle s'exprime plutôt sous la forme "Mais pourquoi on n'arrive pas à déployer notre stratégie ?". 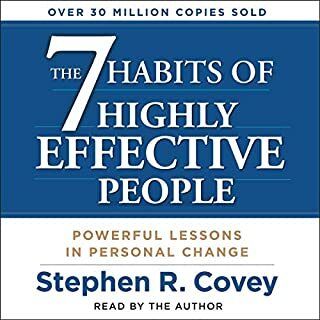 Les auteurs (dont le fils du fameux Stephen Covey des 7 habitudes...) proposent un modèle simple inspiré directement des pratiques agiles mais décliné à l'échelle de l'exécution stratégique. Le livre est structuré en trois parties qui reprennent les mêmes idées en plusieurs passes : les concepts, les conseils pratiques illustrés par des exemples, et les retours d'expérience de la mise en pratique. Ce triple passage permet de bien ancré les idées et de mieux voir comment les utiliser dans son propre contexte. C'est simple, efficace et utile. Don't even think about not getting this book. truly a great operating system for any business . The book is geared towards people working in companies with multiple employes, but has little for solopreneurs. Gives a framework that can work! What made the experience of listening to The 4 Disciplines of Execution the most enjoyable? 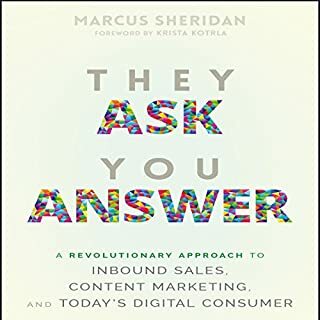 I really liked this book, the authors provide a straight-forward framework to apply at home or at work, but clearly recognise and name the key blocker that fogs everything up. The whirlwind. Nicely written book, logical and clear. Totally makes sense. Great insights that when acted upon change everything for the better! I would recommend every day of the week and twice on Sunday! Simple, understandable, actionable, and clear. 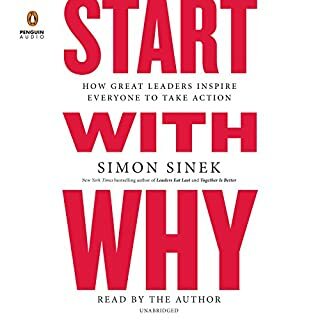 This book takes the complexity of leadership and simplifies it by forcing you to focus on what will bring results. Loved the book. 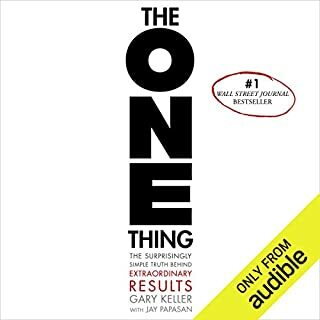 This book is a game changer. 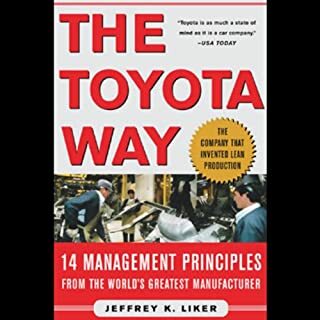 As a business leader, this book lays down the laws of implementation. It's a pivot. I liked the way the book was divided up. I liked examples or good and bad ideas for wigs, leading and lagging measures. I liked the faq at the end. Please Remember To Tip Your Executioner? Probably somewhere between 2.5 and 3 stars. First, full disclosure: I went to a private school in Provo with several of Stephen R. Covey's kids. Not Sean Covey. He was older, but one of two of his younger brothers. My wife also worked for the Covey Leadership Center (and later FranklinCovey after the merger) while I was finishing college. I am very familiar with the FranklinCovey business model (could probably vomit the 7-habits on demand) and business strategy approach. In many ways I'm biased by my own agnosticism towards Franklin Covey. 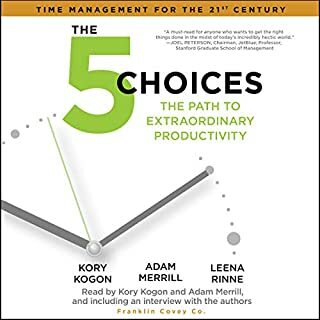 I think Stephen R. Covey was brilliant at building a consultant business that structured time-management, strategy, and execution ideas into highly marketable programs (notice I don't say books) that could be sold in several formats and applied in multiple industries. The ideas were common sense, but the packaging and marketing was brilliant. Stephen R. Covey died a couple years ago from a mountain bike accident in Rock Canyon (oh the stories I could regale you with about the dangers of Rock Canyon). Anyway, the Covey mantle has evidently been passed. 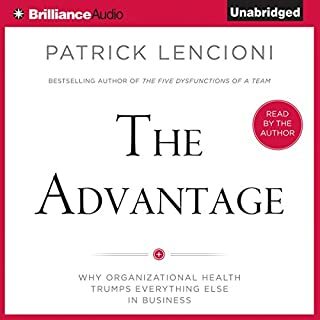 This book is the management/leadership book equivalent of the novelization and franchising of a successful movie (see Star Wars, etc). 4DX was developed by FranklinCovey as an addition piece of their large consulting and content-delivery arsenal. 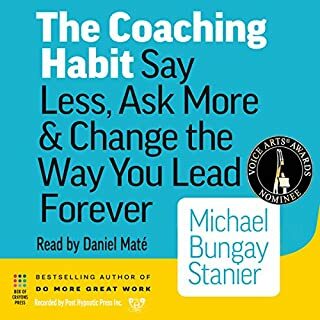 IT was almost the reverse process that works with other leadership coaching/books. 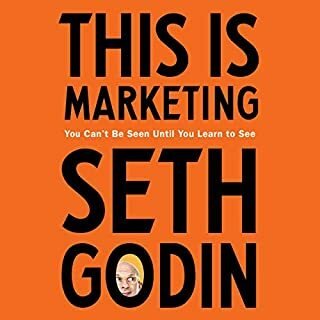 First you birth the book, than you try to exploit the success of the book into a bunch of CDs, webinars, videos, consultant workshops, certifications, yaddas and yaddas. Anyway, I think the 4DX approach is just fine (see my agnosticism line above). But like Mark Twain once wrote when reviewing 'The Book of Mormon', "Whenever he [Joseph Smith] found his speech growing too modern—which was about every sentence or two—he ladled in a few such Scriptural phrases as “exceeding sore,” “and it came to pass,” etc., and made things satisfactory again. “And it came to pass” was his pet. If he had left that out, his Bible would have been only a pamphlet." 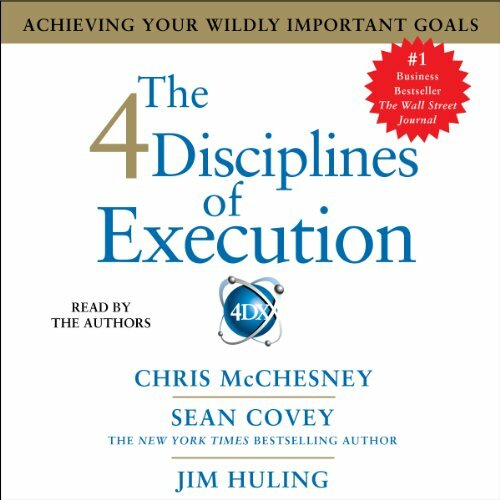 The team that wrote the 4 Disciplines of Execution didn't include "and it came to pass" once, but if you removed all the hyping of 4DX, the internal and external reviews of how much it helped "Business A" or "Organization X", all the subtle and not-so-subtle references to 4DX CDs, certifications, consultants, etc., it might not be a book, it might only have been a pamphlet (and you can't sell a pamphlet for $30 to the State of Georgia). 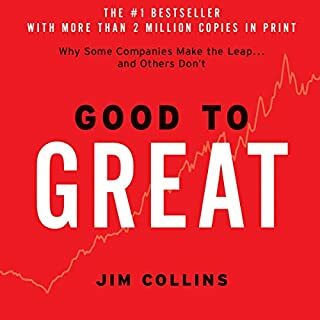 So, why do I give this 3-stars while I gave a recent (and rare) read of a business management book only two-stars (Executive Toughness)? Well, the simple answer is: polish. At least the development team of writers, consultants, VPs, staff, and family at the FranklinCovey Organization know how to write and edit. When I read this I didn't laugh or gag once, and that is (I guess) at least worth one additional star. it is a good book. i did struggled a little bit to finish it. the 4dx seems like a nice system... i want to see if i can apply on my personal life. 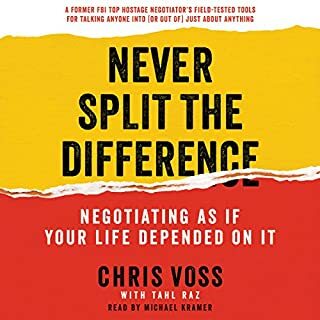 No - it became apparent while listening that this is targeted toward corporate middle-managers and has little relevance for a hard-driving entrepreneur like myself. 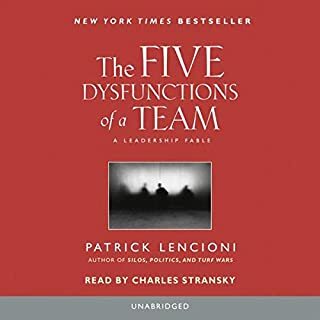 If you have a large number of employees at a big company and they're not getting the job done, your leadership is at fault and this book *may* help. The least interesting to me was simply how corporate it all is. And the cutesy "4DX" brand reeks of that. 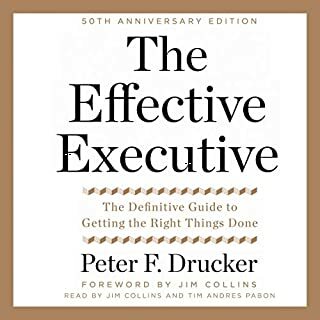 I found this book recommended in a business form but almost immediately realized that this is for managers of good-sized teams in big corporations, not for no-nonsense entrepreneurs like me and others in the same arena. It seems to me like one of those books (and brands) that thrive by giving corporate drones something to talk about and work on, creating an excuse to justify their jobs.